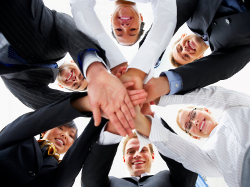 Employee development planning is widely considered a vital part of business survival strategies. But whose responsibility is a career plan for development, the individual, the manager, or both? The perception of whose responsibility it is presents a constant struggle for employers and employees. Naturally, every person has a responsibility towards their own growth to actively engage in a career. Who better knows the aspirations, inspirations, and values of individuals than themselves? No amount of direction, ambition, or planning by any employee can lead to success without the support and guidance from the manager and the organisation they work for. “Therefore, it’s the responsibility of the manager to understand each employee’s vision, to channel their inherent talents into realistic applications, and to find avenues that best capitalise on the individual’s abilities, strengths and passions in the context of the organisation’s best interests,” Nixon says. Skill shortages in certain fields remain a challenge across all sectors in South Africa. “At Sandoz, we have a huge shortage of regulatory pharmacists who can compile dossiers for new product registrations at medical councils.” Nixon adds that professional product managers to launch new products, good CFO’s and qualified CAs are also hard to find.